Bait and fishing tackle store. Been there forever. 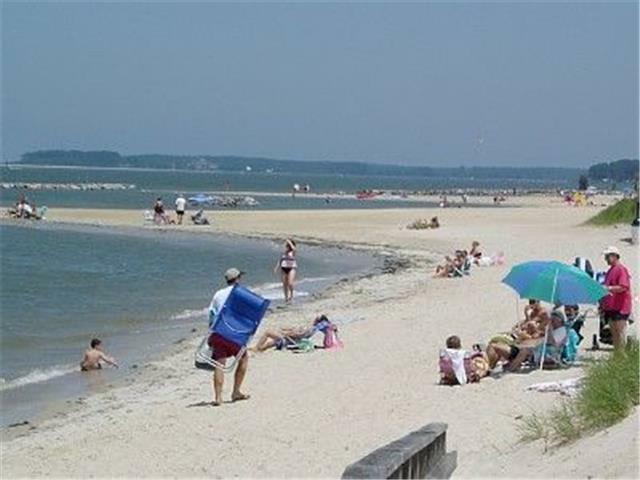 Located a walk away from Kiptopeke State Park, 7 miles from the Historic Town of Cape Charles and 3 miles from one of the Modern Wonders of the World, The Chesapeake Bay Bridge Tunnel, Park Place offers the comforts of home and the location for easy day trips to Virginia Beach, Williamsburg, and Chincoteague. Park Place has been recently renovated by the new owners and shows pride of ownership. The Living Room easily seats 6 and all can watch the large flat screened TV offering a cable package including MLB. The dining Area is spacious with seating for 6 and the fully equipped kitchen finishes out the open concept living area so you’re never cut off from the rest of the family. There are 2 first floor bedrooms and 1 full bath which makes it convenient for the elderly or small children to maneuver. Upstairs is the ultimate Master Bedroom Suite offering a king size bed, mater bathroom with jetted tub, separate shower and dual sinks. A private balcony awaits you. To improve your stay, in addition to the central air, the owners have installed a free standing A/C unit to optimize your comfort in the Master Bedroom. With close access to Cape Charles, you have a wonderful public beach, restaurants, shopping, jet ski rentals, theatre, library, ice cream shop, gourmet food stores and specialty shops. Artists abound on the shore and their work is amazing. 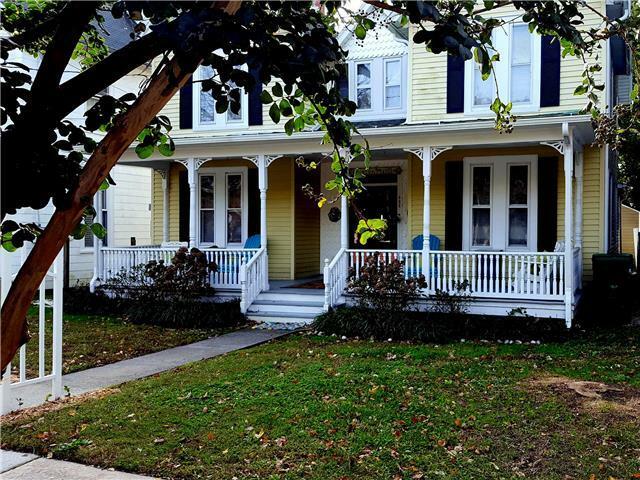 Formerly know as the Quarter Master, Family Tides is a fully restored and renovated Victorian home dating from 1928 and one of the structures contributing to the Historic District classification of Cape Charles. Located just a short walk from the public beach and 1 block from the main street shops and eateries, Family Tides sleeps up to16 in beds. Ideal for large families or multi-family groups. It has multiple living areas that allow everyone to have some space . There are two master bedrooms with queen beds, each with en suite baths. Two additional bedrooms, each with two sets of bunk beds that offer double beds on the bottom and twin bedding on top. The two bunk rooms are served by a Jack and Jill bath. In addition there is a full bath on the first floor. A large fully equipped kitchen offers eating space in addition to the dining room. The middle of the house includes the dining room and a large, comfortable sitting area with flat screen TV. On either side of the entry hall are two smaller living areas, one with comfy seating and TV and the other suitable for the kids. When you want to enjoy the out of doors, there is a full width front porch with seating. A real gem is the fenced back yard with a large patio that has a dining table and built in benches all around. The storage shed houses several adult and childrens bikes as well as some beach equipment including beach chairs and carts for transporting gear to the beach. The outdoor storage trunks hold plenty of sand toys for the little ones. 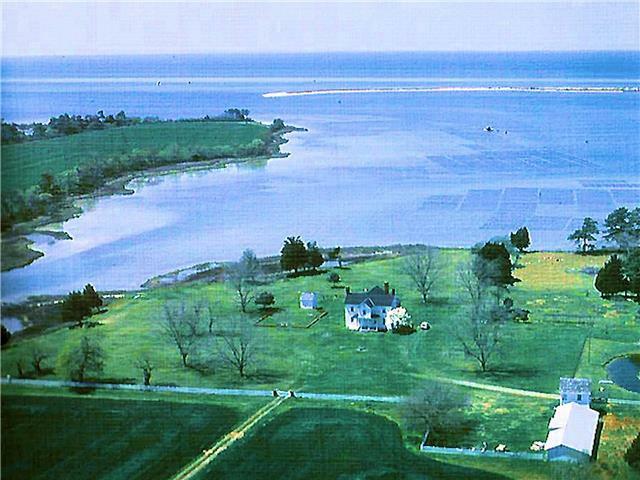 For large groups or folks who just like a lot of space, Family Tides is one of the best options in Historic Cape Charles. 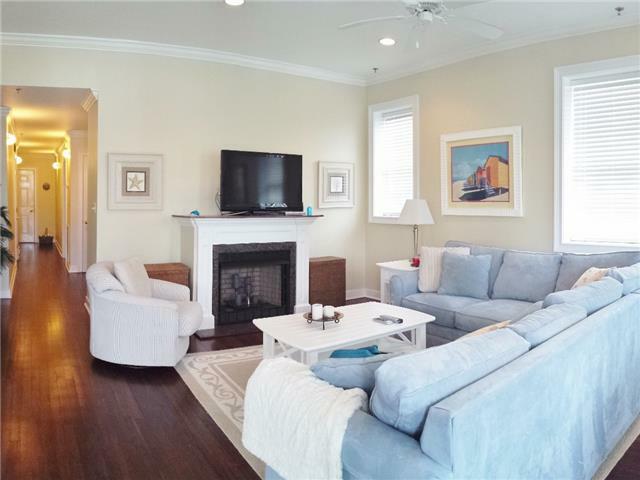 Beachcomber is ideally located just 1 block from the Cape Charles Town Beach and two blocks from Mason Avenue where the shops and eateries are located. It takes up the entire first floor level of this home. The owners use the top two levels as their vacationj home. It has a bedroom with a king bed and the second bedroom has a queen bed and ensuite bath, . A bright breakfast room and a completely modern kitchen open to the living area making for a great spot to hang out with family and friends. There is also a queen size futon in the living room that can accomodate two more for a total of six guests. The huge columned porch adds to the fun of this spot with the beach dunes in sight from the porch. Step off the porch and it is only about 600 feet to the beach. Most of the shops and several eateries and bakeries are within a 5 block stroll as well as a top 10 rated ice cream shop, a candy store and a gourmet food shop with regular free wine tastings. Located one block to the beach and right in the center of town. 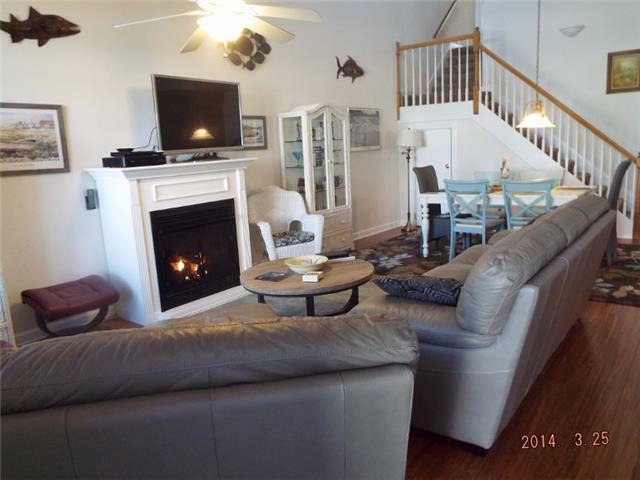 Leave your car and walk to shopping, restaurants, beach and fishing pier. Located on the second floor (elevator building), this Condo has everything you will need for the vacation you have been waiting for. Offering 2 bedrooms and 2 full baths, the home sleeps 6 to 8 comfortably. The Master Bedroom has a Queen size bed and the second bedrooms offers 2 sets of bunk beds. The living room offers a Queen size sleeper sofa. Enjoy the fully equipped kitchen just in case you want to cook. The Dining Room seats 6 comfortably. The cozy living room offers a DVD player and flat screened TV. Access to the back deck is off the Living Room. The Condo has access to the REAR rooftop deck offering town views. Walk 1 and 1/2 blocks to the beach to watch the sunset and celebrate the end of the day. Conveniently located for day trips to Chincoteague, Virginia Beach and Williamsburg. Brochures will be available in the Condo to help you decide what to do each day. Newly renovated but not yet fully furnished, The Mermaid will be available starting Memorial Day weekend. 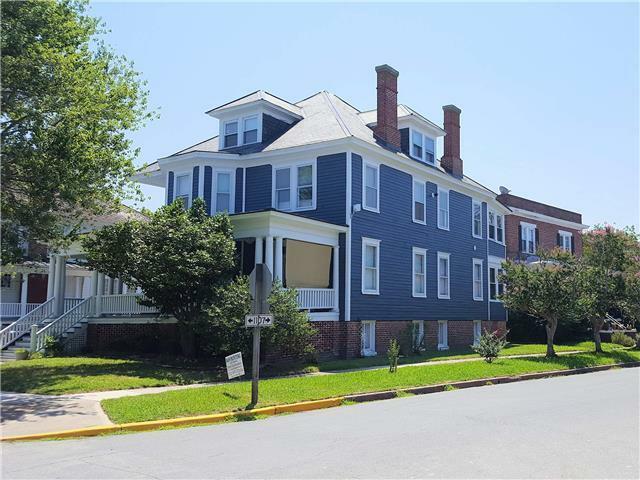 Ideally located just 3/4 block from the Cape Charles town beach and just a short walk to the shops and eateries along Mason Avenue, there are great views of the harbor and bay from the front porch and a large rear deck on which to hang out. 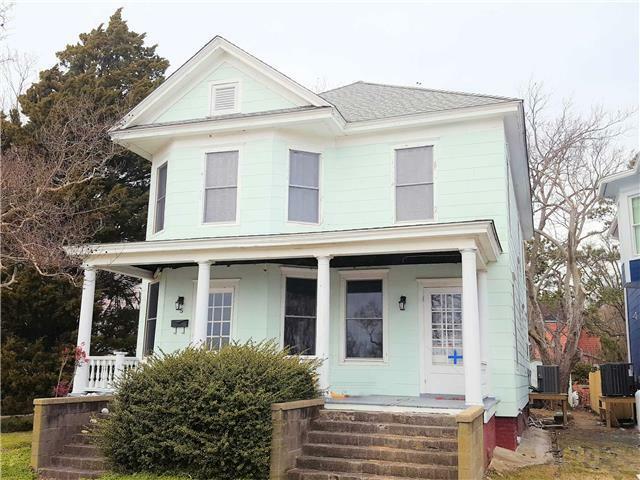 The owner is in the process of furnishing the home with a beachy motif and the exterior will be painted in April when the weather is good.Since this is a new listing on March 1st, most of the prime dates are still available. Vacation BY THE BAY! 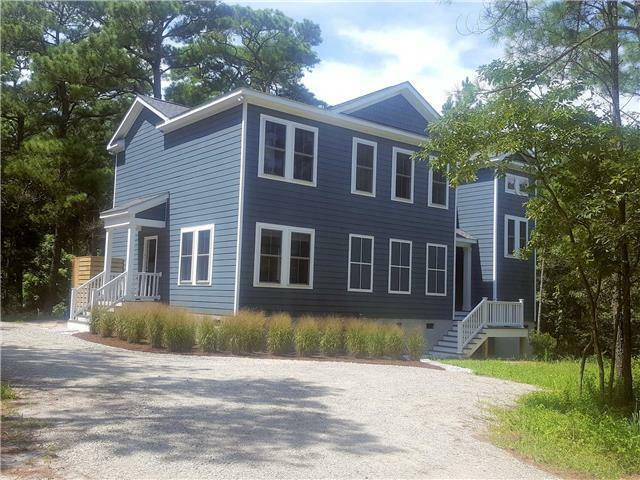 4 blocks to the Beach and 1 block to downtown Cape Charles. 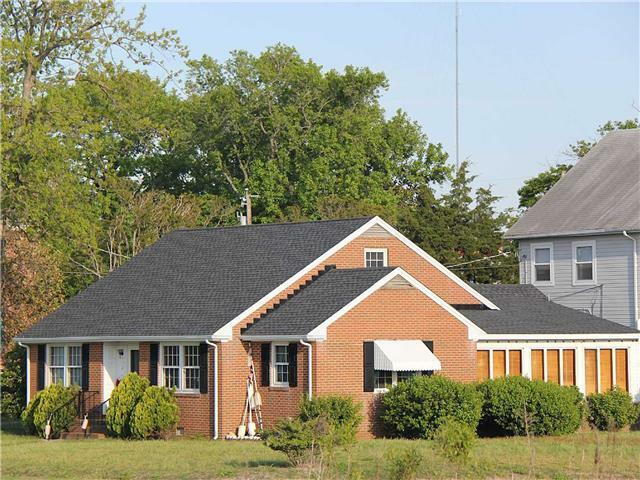 This 4 bedroom 2 bath Eastern Shore style home is our newest listing. Offering a first floor Master Bedroom with King Bed. Spacious living room and dining room with an open concept feeling. A fully equipped kitchen and first floor laundry area. Access to the fully fenced back yard, perfect for pets. Upstairs are an additional 3 bedrooms and full bath. Offering 1 king and 4 twins. The home offers 2 zone air conditioning and heat. 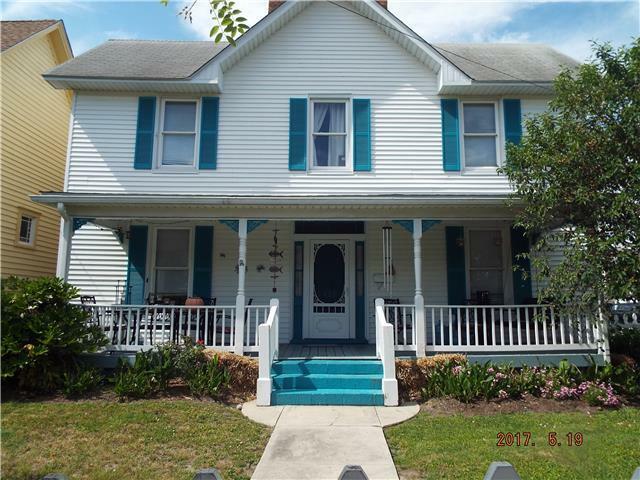 An open front porch with seating for 6+ is perfect for your morning cup of coffee or relaxing after dinner. Golf cart rentals are available for your stay. Cape Charles is golf cart friendly so leave the car at home and stroll around town in your cart. The home is located so that walking to town and beach is quite easy too! Enjoy our many restaurants in town and also 5 to 10 minutes out of town. Our Ice Cream shop has won numerous awards and is open 6 days a week. Enjoy our local shops with a great variety of everything you may need or have forgotten to take, to enjoy your vacation. In the event you do, Cape Charles is poised for easy day trips to Chincoteague (see the wild ponies), Virginia Beach, Busch Gardens and Williamsburg.